It’s that time of year again, the long warm days of summer are quickly coming to an end but luckily, Netflix has our backs. While most of us have spent the past several months in short-sleeved shirts and shorts, autumn weather will surely bring colder temperatures and shorter days. To start of the season of “Netflix and Chill”, the streaming service has just released their list of films and television shows that will be coming to the platform beginning September 1st. Lucky for us, there is a lot to be excited about. Netflix has recruited Disney/Pixar to help kick off the fall, and there plenty of time to get caught up on The Hunger Games before the last film premieres in November. Take a look at some of the highlights for September releases on Netflix and keep reading for the full list below. As we grow and our interests become more varied, we never consider what happens to the toys we stop playing with. 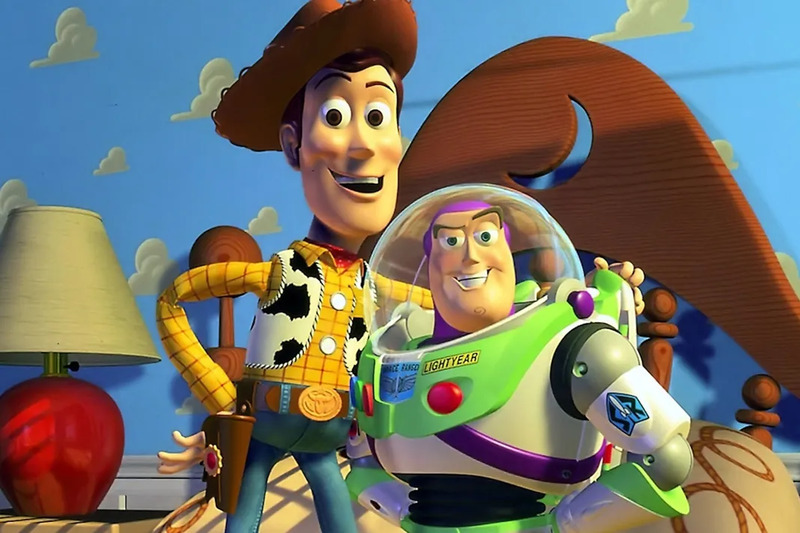 Disney/Pixar’s iconic film Toy Story show us what happens when our once coveted play things get cast aside. Toy Story is Disney/Pixar at its best. Obviously, Buzz and Woody’s story didn’t just end when the final credits rolled on the first Toy Story film. Toy Story 2 is Woody’s story as he discovers a place outside of Andy’s toys; an environment where he is worshiped and given the spotlight. The second Toy Story also introduces the audience to the spunky yodeling cowgirl Jessie. Hip-hop artist Nasir “Nas” Jones reflects back on the twenty years since his debut album Illmatic that catapulted him into the spotlight. In this riveting documentary, Nas reflects back on growing up in New York City’s Queensbridge housing projects, his family and the friends who never made it out. Though the final installment of The Hunger Games film franchise does not premiere for a few more months, Netflix is letting everyone catch up with Katniss Everdeen and the citizens of Panem. In Mockingjay – Part 1 Katniss, is rescued from the Games to become the leader of the revolution against President Snow and the Capitol. Despite dealing with severe PTSD, Katniss is determined to press forward, while rescuing her dear friend Peeta from Snow’s clutches. Marvel fans rejoice, though there is no other superhero film slated for release for the remainder of 2015, Netflix is still allowing us to get our fix. Thor (played by the delicious Chris Hemsworth) must defend his home Asgard and Earth against the Dark Elves. An added bonus is Tom Hiddleston as the glorious Loki.